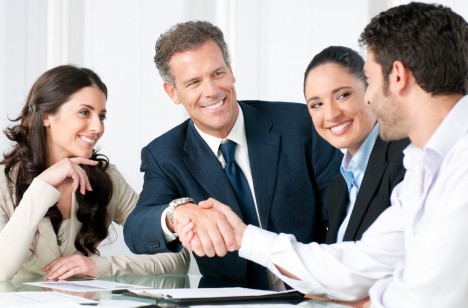 As a real estate agent, your vendor network is a coveted source of referrals. Property managers, financial advisers, contractors and other home trade professionals are all great partners. Not only do these professionals have contact with potential clients at key stages of the decision cycle to buy or sell, but they can also send you more quality referrals because they understand the difference between a qualified & unqualified lead. 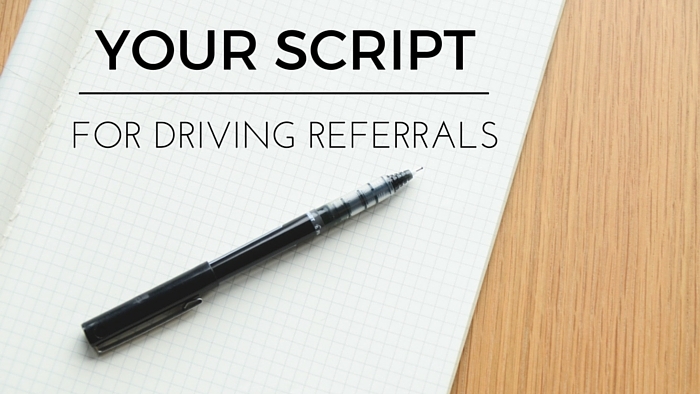 While this script is simple – its a powerful tool for connecting with professionals that can grow your client list. Who are your most valued referral partners? Any real estate agent or broker will agree that the best form of lead generation is referrals from past clients. These prospects are not only highly qualified leads, but they also already know and understand your expertise and what niche market you serve. Unfortunately, there’s just one problem. While most past clients say they’re willing to make a referral, few actually follow through – which leaves real estate agents in a difficult spot. How do stay relevant with past clients so they send referrals your way? One of the ways we’re seeing agents and offices have huge success driving referrals from past clients is by having an affinity program. Realtors can negotiate rewards, deals or specials from local businesses to offer their clients – which creates new client value and keeps agents top of mind after closing – all helping to drive referrals. Think about it. As a real estate agent, you’re a an expert in everything real estate. You know all the best moving companies, painters, landscapers & home decorators that can help your clients with their new home. These service providers love when you send clients their way, and your clients really appreciate your trusted advice. So, these are perfect businesses for negotiating deals for your affinity program with. But you’re also a local expert. You know the best restaurants, boutiques, tourist attractions… even daycares and children’s activities. When clients move to a new area, it’s these local businesses that make them love their neighborhood and feel at home. So these types of businesses are also great candidates for your affinity program. At the end of the day, providing more client value and staying top of mind after you close are how you’ll drive referrals from past clients and grow your business. Does your office offer a client Affinity Program? For any real estate agent, success depends on the ability to drive referrals and repeat business. The average agent receives 21% of their business from repeat clients, but agents in business 16+ years average 40% of their business from repeat clients and an additional 21% from referrals. However, since the average buyer stays in their home for 13 years, increasing repeat business and referrals from past clients isn’t easy. Agents need to provide real value long after they close. So just how do you deliver client value post close? Here’s our 6 tips for staying relevant and building client relationships. You’ve closed the deal and popped the champagne! But while your work is done, your clients still face the stress of moving day. Help them out by connecting them with a great moving company, provide a moving day checklist, stop by on moving day to lend a hand or order takeout so they aren’t scrambling without a kitchen. Finding trusted home professionals can be a challenge, especially for first-time buyers or people new to the area. Share your vendor network with clients to save them the hassle and help them find the professionals they need. Better still, make your list always accessible so clients can easily access it long after they move. While mortgage rates will be top of mind during the application process, after purchasing a home clients may not realize if rates have changed or if their fixed rate period is coming to an end. By alerting clients of mortgage rate changes, you can put more money in their pockets. 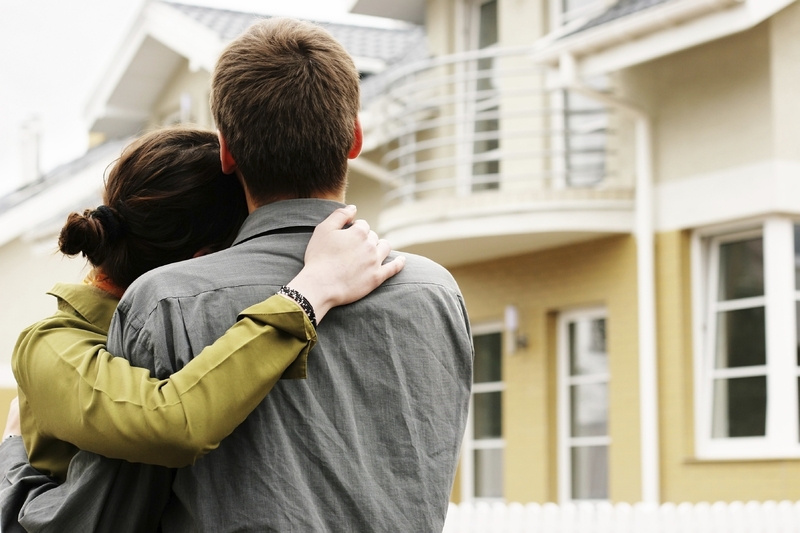 Keeping a pulse on the local market helps clients see the value of their home investment. Sending market updates – including price changes, recent neighborhood sales and market demand – keeps real estate top of mind, shows your expertise and can encourage clients to buy or sell again. It’s a definite must for providing value after you close. Owning a home has significant tax benefits. At tax time, send clients info on tax deductions and credits for homeowners. You’ll help clients save money and reinforce the value of an investment in real estate. Whether you decide to host a client appreciation event, holiday party or fundraiser for a charitable organization – inviting clients to neighborhood events is a great way to grow your relationship. The face time is invaluable for staying top of mind. Plus, throwing a fundraiser shows that you’re involved in the community. At the end of the day, providing real value goes beyond simple fridge magnets and holiday cards – it’s about increasing homeowner value and building lasting relationships with clients. How do you engage in post-close marketing? Like any real estate agent, you’re constantly searching for new leads and better prospecting methods to grow your business. For most agents, driving referrals from past clients is a key strategy – since 42% of home buyers find their agent through a referral from a friend or family member. But what if you could tap into a new referral source that sends you high quality leads? Any agent would quickly jump at the possibility. 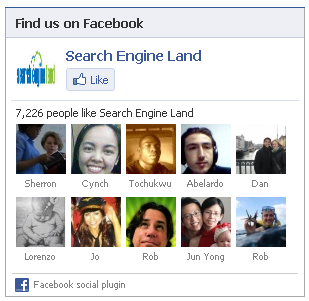 So what’s this untapped referral source? Your network of trusted service providers and local businesses. As a real estate agent, you have an intricate web of professional contacts to deliver great service to your clients and make the buying or selling process as smooth as possible. While your team of vendors can help you secure listings and get clients ready to purchase, they’re also an untapped source for referrals.These professionals include everyone from mortgage brokers, financial advisors, lawyers, contractors, home decorators and landscapers. Think about it – you regularly refer clients to these professionals, but are you working with them to have referrals sent your way? You should be educating your professional contacts about the types of clients you work with and letting them know how they can benefit by sending clients your way. To really capture referrals from your professional network, remember that they won’t just happen automatically. First, make sure you engage with your contacts regularly so you aren’t forgotten – think about your initiatives for staying in touch with past clients. Then, when you receive referrals from your professional network make sure to keep them updated on sale progress and what’s going on – remember that the client was theirs first. At the end of the day, remember that you get what you give. Sending business two-ways makes for a stronger networking relationship and will help deliver superior service to clients. If you’re interested in strengthening your professional network, check out QuickLinkt’s referral management tools for real estate agents or share your professional network with past clients via your own branded mobile app with ClientLinkt. Real estate agents are constantly looking for better marketing strategies to drive leads. They’ll experiment with everything from Zillow, Craig’s List, FSBO, social media, AdWords, mail outs – the list goes on. But any real estate agent knows that their best lead source is their current client base. For agents to in business 16+ years, 40% of their business comes from repeat clients and another 21% comes from referrals. But driving referrals and repeat business means staying top of mind with past clients. The reasoning behind these touch points is that the more contact between an agent and past clients, the more likely past clients are to become repeat clients and send referrals the agent’s way. While staying connected is the first step, real estate agents need to go beyond simple communication. Think about it – how many emails do you receive from businesses, community groups & politicians vying for your attention??? Marketers send over 838 million emails every year – meaning it’s only getting more difficult to get your messages heard. Therefore, you need more than just regular contact – you need to stay relevant and provide real value after the sale. Don’t think of your relationship with clients as simply buying and selling property – as a real estate agent you have a vast knowledge base on everything real estate related including market trends, decorating, landscaping, mortgages, community events and home maintenance. This is where you can provide real value to clients long after the sale to drive referrals and repeat business. When you send past client newsletters or check-in, share your knowledge. Provide home maintenance tips, advice on landscaping or secrets to getting great curb appeal. Better still, do you have a list of quality service providers and local businesses? 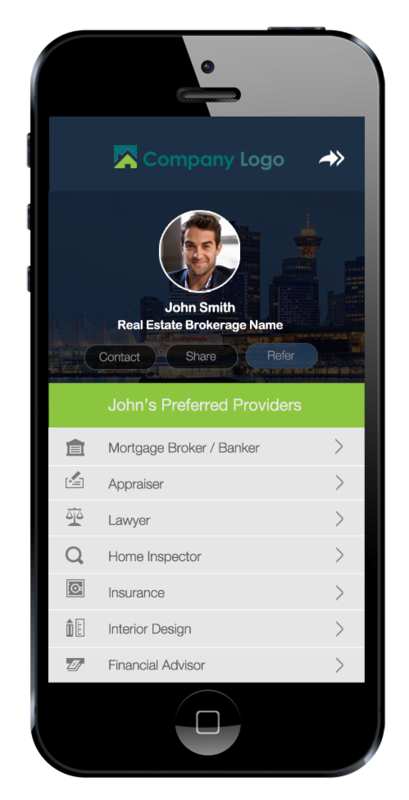 Share your contact book with past clients so they can access trusted home professionals anytime. With ClientLinkt by QuickLint, you can share your list of vendors and local businesses with past clients via your own branded mobile app. Clients can access your list of preferred providers anytime – meaning you’re constantly offering real value long after the sale. Better still, you’re able to build your brand by having a constant presence on past clients’ Smartphone. If you’d like to learn more about ClientLinkt visit www.clientlinkt.com or contact sales@quicklinkt.com . Real estate websites have become increasingly sophisticated as agents work to drive leads online. From listing data, online chat, videos and social media integration – the options can be endless. 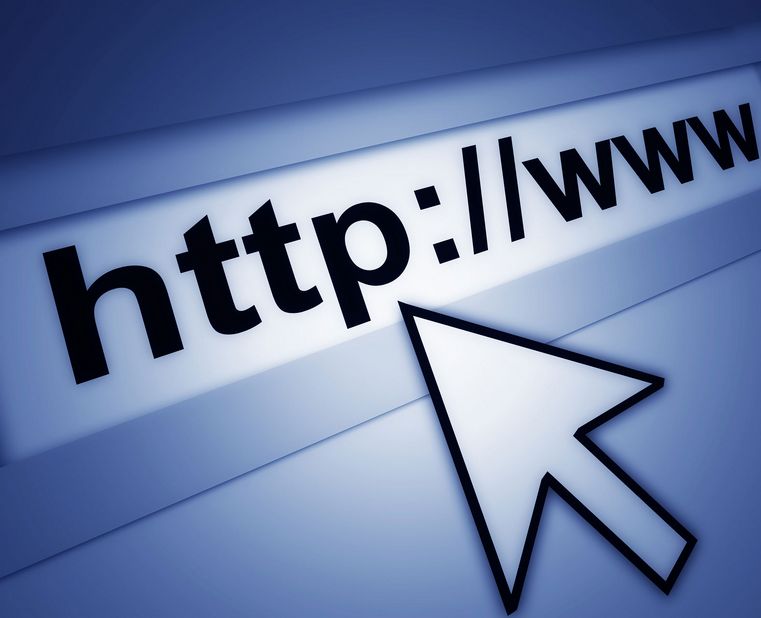 And with 90% of home buyers searching online, having a great website is a necessity for any agent. So, if you’re doing a website revamp or want to check in with how your site stacks up, here’s our list of the 10 website essentials for any real estate agent. While this advice might seem obvious, 45% of small businesses in the US still don’t have a website. While your brokerage likely has a site, you shouldn’t rely on your broker’s website to increase leads. Every agent should also have their own site that they have full control of. Don’t lose out on the 90% of home buyers that are searching online. This year, mobile search will outpace desktop. Your site should be mobile optimized – ideally responsive – and have mobile features like click-to-call. Google and NAR have published that 89% of new home buyers use a mobile search engine for their research. Don’t give them a bad experience with a site that isn’t mobile friendly. Local search is the when a search engine delivers results that are specific to a geographic region. This means that when you’re working to rank higher in search engines, you should focus on “Real Estate Agent Toronto” instead of “Real Estate Agent”. 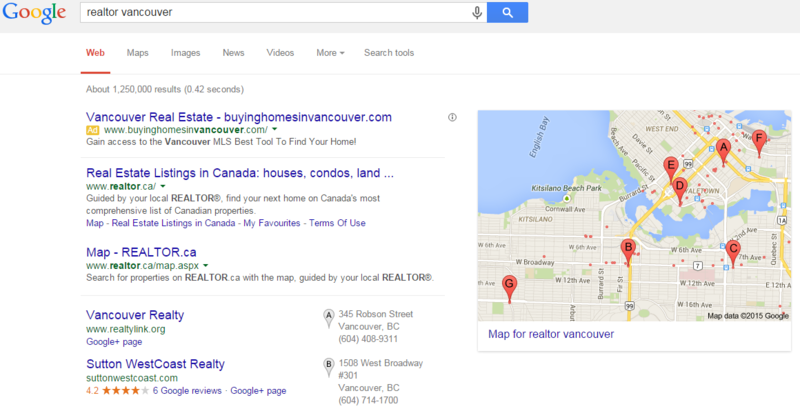 Just how important is local search for real estate? 69% of home buyers that take action on a real estate website started with a local search term, like “Houston homes for sale”. Your website is your opportunity to show potential clients how great of an agent you are. Have a clear value proposition displayed right on your homepage – ie Buying and Selling Luxury Properties in Houston since 2002 – and make sure to have a bio page that highlights your qualifications and experience. Testimonials from past clients are great for social proof! Does your website have “curb appeal”? Great images, design and videos are so important for keeping visitors from dropping off. Here’s one of our favorite examples. 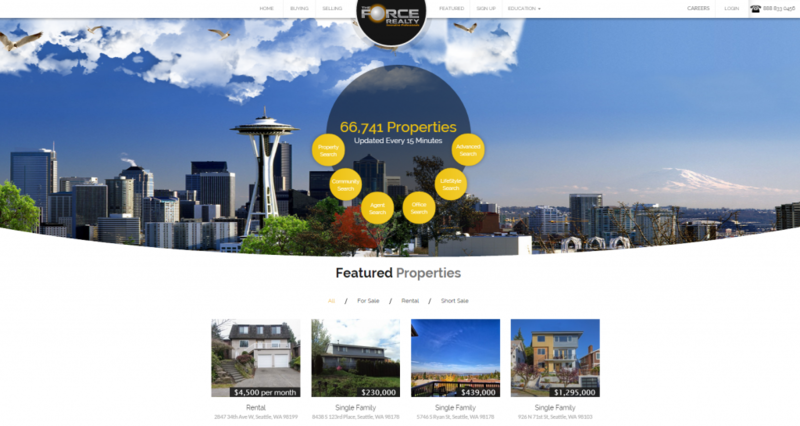 The most important features of a real estate website? According to a recent survey of home buyers, photos and detailed information about properties for sale are the most important. Have easy-to-use property search functionality on your website with great listing descriptions. Blogging regularly is an effective and inexpensive digital marketing strategy. Blogs are great for showing yourself as an expert in the local real estate market, improving your local search ranking, providing info & tips for potential clients and converting visitors into clients. Whether you choose to have your blog on a subdomain (blog.clientlinkt.com) or as a subfolder (quicklinkt.com/blog), blogging regularly is a definite must for any real estate website. Are you working to find leads and connect with clients on social media? Integrate your website with your social profiles by adding Activity Feeds that show recent Tweets & Facebook posts, a Like Box that let’s website visitors Like your Facebook page without leaving your site and Share buttons. Add a Refer Us form to your website. Using separate forms for referrals from past clients and referrals from agents in other centers is a simple way deliver high quality leads from your website. With QuickLinkt, you can add Refer Us forms to your website and be automatically notified everytime you’re sent a referral. At the end of the day, the goal of your website is to grow your client base and increase closings. To turn website visitors into revenue, have your contact info prominently displayed on each page of your site and have one-touch calling and email functionality on your mobile site. John Wanamaker famously said “I know half my advertising dollars are wasted… I just don’t know which half.” Now, even though Wanamaker lived over 100 years ago, the same saying still runs true for real estate agents today. A recent study published on Inman News showed that many real estate executives see little to no value in the marketing channels agents use. Executives were asked to rate the quality or ROI of lead sources. The executives interviewed were all leaders of real estate firms that accounted for ⅓ of home sales participating. The results of the study were pretty blaring, showing that by far the best lead source is an agent’s Sphere of Influence. 86% of those interviewed said that referrals from agents’ Sphere of Influence had exceptional value, whereas less than 10% agreed that MLS/Associations, Zillow, Realtor.com and Trulia had exceptional value. Worse yet, more than 50% said that MLS/Associations, Realtor.com, Trulia and Homes.com had little to no value. What’s even more surprising is that these executives were only asked to rate lead sources that their agents use! So, the over 50% of executives that said MLS/Associations, Realtor.com Trulia and Homes.com had little to no value are spending time and money using these sources to generate leads. 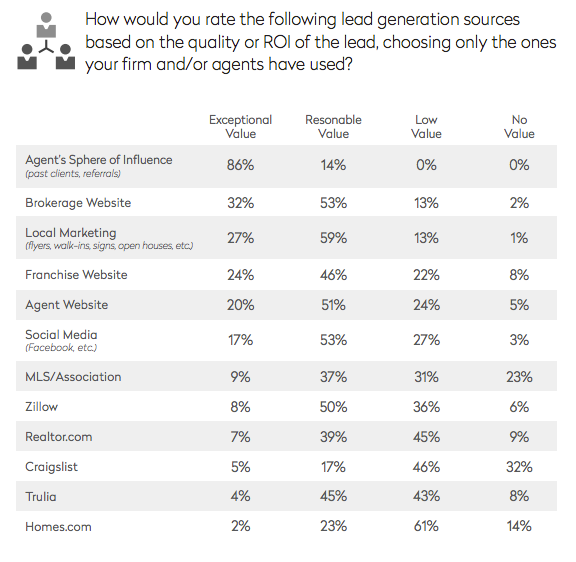 Looking at the results, it seems obvious that real estate agents should be spending more effort growing their Sphere of Influence and engaging with these referral sources instead of spending money on third-party websites. An agent’s contacts can send qualified leads that know how great the agent is and are ready to buy or sell, whereas third-party sites may be sending you the data on people that were curious about how much their co-worker spent or already have a real estate agent. Develop an editorial schedule for your blog and social media – remember that it isn’t just about selling! If you’re sick of spending money and time on marketing efforts that don’t seem very valuable, maybe it’s time to start leverage your Sphere of Influence. How do you engage with your past clients? Real estate is a tough market. With 9 out of 10 agents leaving the industry in their first year, it can be especially intimidating for those getting started. Since we’re always looking for ways to help agents grow their business, we asked some of the experienced real estate agents using QuickLinkt what advice they’d give to those starting out in the industry. You’ve likely heard your broker or other agents stress the importance of your Sphere of Influence – the personal and business connections that respect your expertise and know how great you are. These contacts can send you referrals and connect you with potential clients ready to buy or sell. Write a personalized note to let connections know you’ve made a career change and why you’re passionate about real estate. Agencies and professional associations are full of experienced & knowledgeable real estate agents. Take advantage of training initiatives and spend time helping out other agents as you build your client list. Your education doesn’t stop the day you pass your licensing exam, so be prepared to always keep learning. Remember, your broker WANTS you to succeed! As awesome as real estate agents are – you won’t meet many potential clients hanging out with other agents. Getting involved in your community is a great way to help your career. First, it helps you to become an expert in the neighborhoods that you work in which can be key for wowing your clients and closing transactions. Better yet, being involved in your community is also a great way to connect with potential buyer & sellers. 90% of home buyers use the internet in their home search process. If you don’t have a strong online presence – you’re missing out on 90% of potential leads. Learn how to edit and update your website, create social media pages for your personal real estate brand, start an editorial schedule for your blog and research how to create & manage online ads. It may seem daunting, but there’s lots of great advice on digital marketing for real estate. Referred clients are 4X more likely to do business with you. 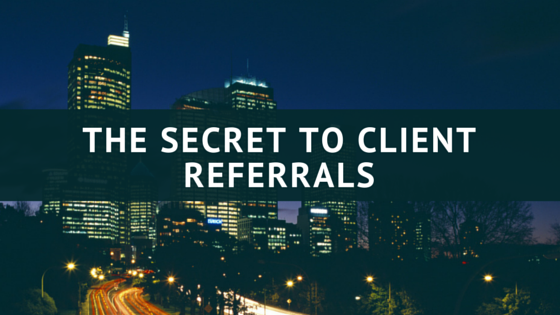 When you’re working with clients and after sales have closed, let clients know that a referral is the best compliment. The home buying and selling process can be stressful – your happy clients will want you to help their friends and family with the process. What advice would you give to new real estate agents?